Any faculty member in an initial probationary tenure status appointment who is not reappointed and who would not in the normal course of events be reviewed for tenure at this stage of his or her career may appeal that decision at the departmental, college, and University levels. [Note: Throughout this document, unless otherwise stated, the word “faculty member” shall mean a non‑tenured faculty member in an initial probationary tenure status appointment who has been denied a reappointment.] The candidate shall be informed of this right, the procedures for exercising it, and the University guidelines and regulations concerning reappointment when he or she is first notified in writing of the decision not to reappoint. terminal appointment, the appointment shall be extended until the appeal is complete. cases where an extension is granted at the request of the appellant, the appellant’s appointment shall not be extended under I.B. beyond the duration of the normal term of an appeal without the consent of the Provost. The faculty member may waive the right to written explanations from the department chair and the dean, or may decline to pursue the appeals procedure at any stage. However, the appeal procedures herein described must be followed sequentially. Waiver of any stage of the appeals procedure shall cause the faculty member’s right to proceed further to be forfeited. Thus, failure to request reconsideration of a negative departmental decision (see Section II), or failure to respond to a negative proposed decision at the college level (see Section III), will constitute waiver of further appeal rights. Any faculty member has a right to receive a timely reconsideration of a departmental decision not to reappoint before that decision is forwarded to the dean. Within one week after being notified of that decision, the faculty member may request a written statement of the reasons for the decision and the nature of the evidence. If such a statement is requested, it shall be provided to the faculty member by the chair within three weeks of the departmental decision. The statement shall respect the limits set by the need to preserve confidentiality. If the faculty member wishes to have the departmental decision reconsidered, he or she shall respond to the chair in writing within three weeks of receipt of the chair’s statement of reasons. The faculty member may address any issue that he or she deems appropriate, and may present new evidence. The eligible voting faculty shall consider the chair’s statement and the faculty member’s response, and a second vote shall be taken. The final departmental decision and the reasons for it shall be provided in writing to the faculty member within three weeks of receipt of the faculty member’s response. Note: In schools and colleges that do not have a departmental structure, “department” shall refer to whatever faculty group makes the decision not to reappoint. 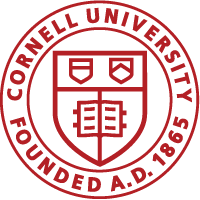 If the department’s (or the college faculty’s in the case of the Johnson Graduate School of Management, the Hotel School, and the Law School) final decision is negative, the dean shall, at the request of the faculty member, appoint a committee of Cornell tenured faculty members or tenured faculty members from an appropriate academic institution outside of Cornell to review that decision, if the dean has not already done so on his or her own initiative. No one who has participated in the decision or has taken a position on the reappointment may serve on the committee. The candidate shall make his or her request for appointment of the committee within one week of notification of the department’s final negative decision, and the dean shall appoint the committee within three weeks of the candidate’s request. Within three weeks of the receipt of the report of the dean’s committee, the dean shall furnish the faculty member with a preliminary written statement of his or her decision, the reasons for it, and the nature of the evidence within the limits set by the need to preserve confidentiality. For a two‑week period following receipt of the statement, the faculty member shall have the opportunity to respond to the dean, prior to the dean’s final decision. The decision of the dean shall be furnished the candidate in writing. For a two‑week period following receipt of the dean’s final negative decision, the faculty member may appeal that decision to the Provost. The decision of the Provost, and the reasons for it, shall be given in writing to the dean, the department, and the faculty member. The decision of the Provost shall not be subject to further appeal within the University. Adopted by the Faculty Council of Representatives, May 13, 1981, Records, pp. 5342‑54C; Executive Committee, Board of Trustees, May 30, 1981, Records, p. 10,808, Appendix D, Records, pp. 10,828‑30; Board of Trustees, May 30, 1981, Records, p. 10,856; Faculty Council of Representatives, October 10, 1984, Records, pp. 5923‑39C; Board of Trustees January 25, 1985, Records, p. 357, Appendix A, pp. 369‑71. Amended by the Faculty Senate, March 13, 2002, Records, pp. 9393-9394S, Appendix 2; Board of Trustees, June 20, 2002.